These little crochet hearts are addictive-- once you start making them you just can't stop! Since no one needs that many magnets, I thought I'd round up some other ideas for crochet hearts-- either the tiny size or the bigger size. This way you can make as many as you want without any guilt! 1. These Heart Hairpins from Lorraine at A Grateful Prayer and A Thankful Heart would be great for those little girls in your life. She made them into Valentine's Cards, but you could also just make a few to wear on the big day - for you or your daughter! 2. I love softies, and heart softies would be the perfect thing to slip into your sweethearts mailbox, briefcase, or lunch pail. You could sew two crochet hearts together, or use this Amigurumi Heart pattern from Owlishly (pictured). 3. If it's cold where you are (I turned my car's AC on yesterday-- sorry! 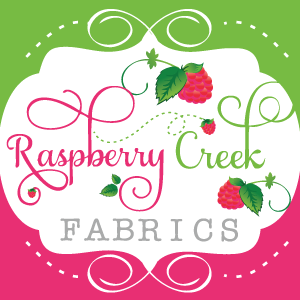 ), what about doing a heart applique! Posh Patterns used an applique on her Sweetheart Flapper hat; but you could sew your heart on almost anything. Check out the magic stitch tutorial for an invisible applique technique. 4. Although scrapbooking and cardmaking is not my forte, I love these cards from Little Birdie Secrets. She also has a heart pattern-- with video on her site. 5. And lastly, (I have to admit that this is my favorite) Noodlehead's window garland. 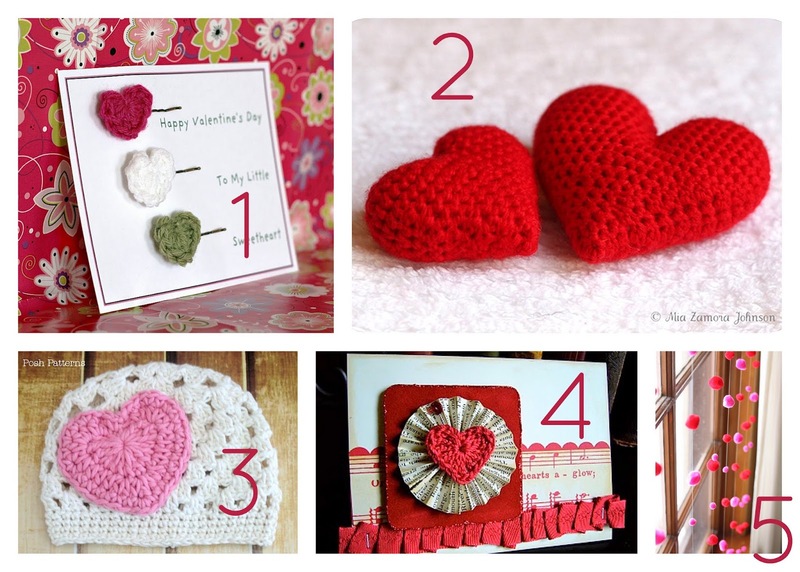 She uses pom poms, but you could easily substitute tiny crochet hearts! I hope everyone has a wonderful weekend! See you next week with some more Valentine's ideas!